Check out These New Demos! Three new demos are out now to check out. The preorder only demo of Brutal Legend is now available for all to enjoy, plus we get demo for Wolfenstein, and a sneak peek at Forza 3. Check them out! 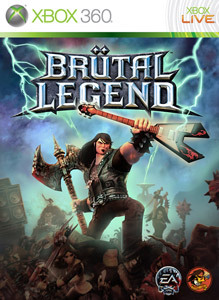 "Brütal Legend is an action game from the mind of Tim Schafer. Eddie Riggs, a roadie chosen by the Rock Gods and played by Jack Black, must battle through a heavy metal fantasy world to save humanity and slay demons — using only a broad axe, his guitar Clementine, and an army of metal heads." "In Forza Motorsport 3, live the most realistic racing experience available as you take the wheel of more than 400 of the most-beloved cars on over 100 renowned real-world tracks and exotic road courses from around the globe. With breathtaking HD graphics and advanced vehicle simulation, Forza Motorsport 3 includes a host of driving assists and adjustable skill levels to make the game a gripping pick-up-and-play experience for audiences of all ages and skill levels. 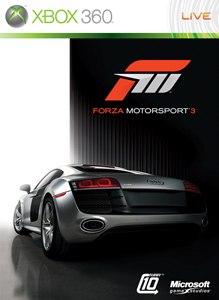 Forza Motorsport 3 is where dreams are driven." 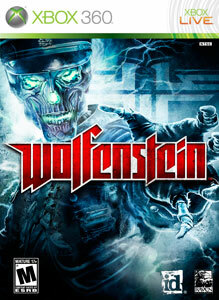 "Unleash the Nazis own dark powers against them as you battle unimaginable evil and unexpected foes. Download the demo."